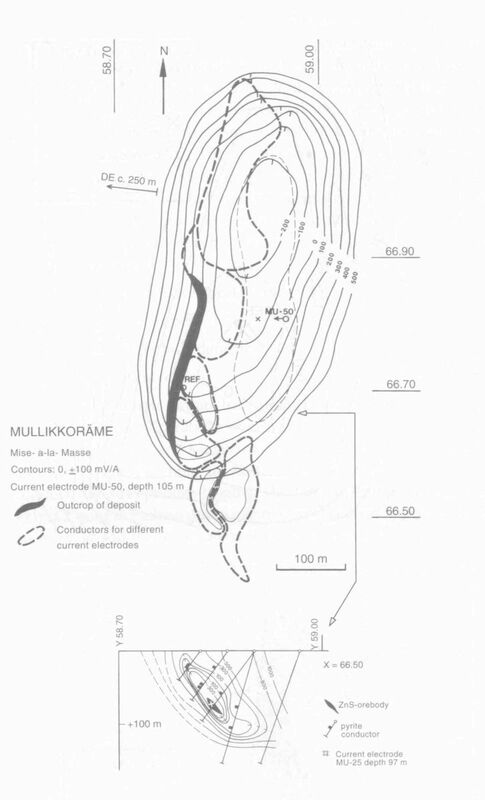 The Mullikkorame deposit is a sub vertical massive sulphide ore body located in the Pyhasalmi-Vihanti area of Finland. Mise-à-la-masse measurement delineated the extent of the sulphide formation fairly well. However, it was difficult to distinguish between ores and non-economic pyrite conductors because of similar resistivity.